Have you filed for social security benefits in Illinois and been rejected? Not sure if you qualify? At the law offices of Goldberg Weisman Cario, our Chicago Social Security Disability Lawyers have a comprehensive knowledge of the SSA’s rules and regulations and can help determine if you have grounds to file an application. If you are unsure about your specific situation, our law firm offers 100% FREE initial consultations and we only get paid when we are successful in obtaining a recovery on your behalf. We have been helping Illinois injury victims for more than 30 years and are ready to help you today. Did you know that the majority of Social Security Disability insurance applications are rejected on their first submission? While there are a number of requirements that an applicant needs to meet in order to be eligible for Social Security Disability benefits, one of the most important is for the individual to have worked in a job that is covered by Social Security. Not sure if you qualify? Contact us today at 1-312-464-1234 to speak to our Chicago social security disability lawyers about your specific situation. Another requirement is if you have are disabled before the age of 24, you must have worked at least 1.5 years (the equivalent of “6 credits”) in the last 3 years that you worked before you became disabled. It’s important to note that as your age increases, you will require more credits in order to be eligible. Do your disabilities limit your ability to perform every day tasks like walking, sitting or having a general awareness of your surroundings? Are your injuries on the “automatic-approval” list of the SSA? Does your current condition impede with your ability to work in the same capacity that you did prior to becoming injured? Are you able to work in another type of industry or role? Depending on your answers to these questions, the Social Security Administration will evaluate your application after referring to the 14 different health condition categories that they use to classify each application and then determine your eligibility. There are four primary types of benefits that an applicant may be eligible to receive. As outlined earlier, these benefits are given to individuals that have met specific eligibility requirements and are deemed deserving of these payments however, it’s important to note that having a lawyer can dramatically increase the possibility of your application being accepted. Social Security Disability Insurance (SSDI) – while certain rules apply to these benefits, in most instances, if a worker has worked long enough and has paid into the Social Security fund for a satisfactory amount of time, these are the benefits that the applicant will receive. Supplemental Security Income (SSI) – these benefits are different from other Social Security benefits in that they are based on a direct financial need for assistance, as opposed to the applicants work history. Generally, they applicable to the aged, disabled or blind individuals that have no income and are unable to provide basic necessities for themselves. Disabled Widows & Widowers Benefits – if a workers passes away, the widower of that worker may be eligible for these type of benefits. 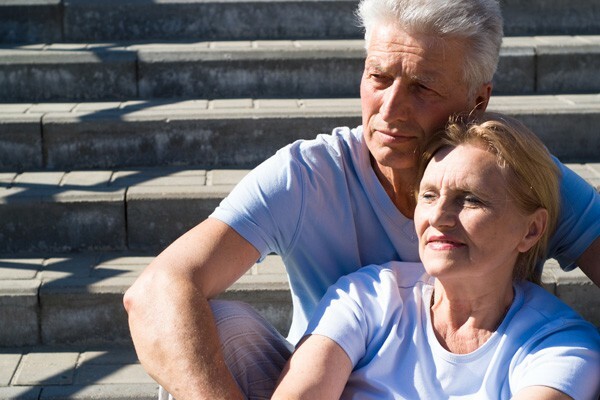 However, the applicant must be between 50 and 60 years of age, they must also have a condition that meets the outlined definition as a disabled adult and the disability must have started 7 years prior to the death of their spouse. Disabled Adult Child Benefits* – as with most types of Social Security benefits, disabled adult child benefits are considered for those that have lost their parents or if those parents are claiming disability benefits. In order to be eligible, the applicant must first have become disabled before the age of 22. * An adult may also qualify for these benefits if their parents are currently collecting SS payments or if they are deceased. If you are unsure if you qualify, call our social security disability lawyers in Chicago today at 1-312-464-1234 to discuss the merits of your application. Have you filed an application for Social Security Disability benefits in Illinois and been rejected? Perhaps you would like to file but are just unsure if you qualify? At the law offices of Goldberg Weisman Cairo, our Chicago Social Security Disability attorneys have a comprehensive knowledge of the SSA’s rules and regulations and can help determine if you have grounds to file an application. If you are unsure about your specific situation, at our personal injury law firm we proudly offer 100% FREE initial consultations and we only get paid when we are successful in obtaining a recovery on your behalf.